Wells Science Hall was named for former president Dr. E. H. Wells and the York Science Center for former professor C. L. York in 1919. 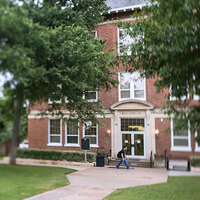 It was renovated in 1970 to accommodate a campus population of 1,200. In 1994, ground was broken for the York Science Center addition. Come and go reception for graduating veterans and induction of members into SALUTE - UMHB Chapter of S.A.L.U.T.E Veterans National Honor Society. So much fun. I loved it and love volunteering for my math department! The kids are great. My son and I had an absolutely wonderful time! It was awesome, loved being able to meet people with the same likes.